Is there a better alternative to PipeRoll? Is PipeRoll really the best app in Puzzle category? 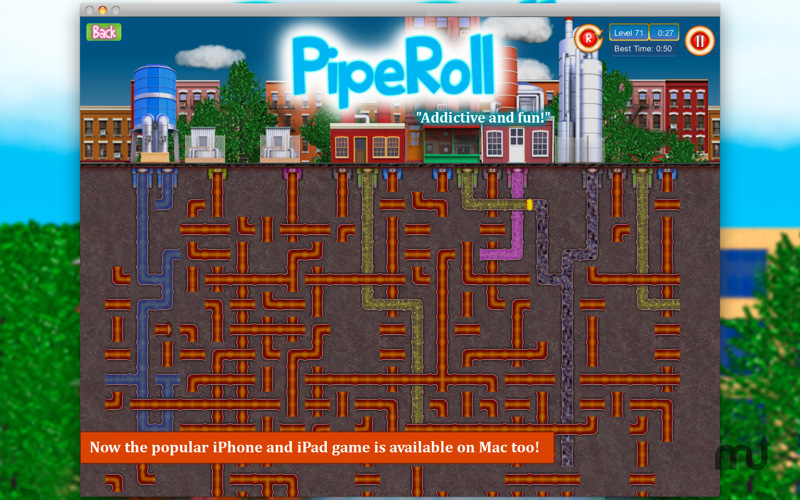 Will PipeRoll work good on macOS 10.13.4? PipeRoll ... Connect the plug-holes to each other as fast as possible to rotate the pipes into the correct position. There are 100 levels with 1, 2 , 3 or 4 different types of fluid and a lot of trick. Test your brain in this amusing puzzle game!